Activist Martyn Namorong continues to protest online despite gag order. Just heard I am being taken to court. Before the gag order came down, Namorong had written critically about Gamato's role in overseeing the last general election held June 24-July 8, 2017. But Namorong is not the only one critical of Gamato. News reports mentioned complaints of alleged irregularities in the recent election such as discrepancies in voter rolls, inadequate support for polling staff, and inefficient counting of results. 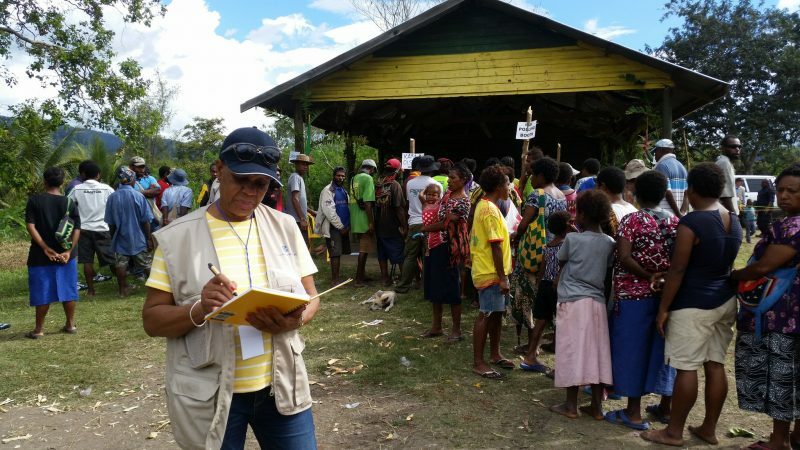 Even members of the Papua New Guinea Election Advisory Committee tendered their resignation due to the failure of the Election Commission to adequately address the mounting discrepancies. All honest and concerned Papua New Guineans value their decision, but lament the causes of it. It is a very sad day for Papua New Guinea, and sends shivers of fright about the future of democracy in our country. The utter chaos of this election is deliberately organized. It is rigged. Morauta also defended Namorong and accused Gamato of being thin-skinned. He advised the election officer to concentrate on more important issues like fixing the problems of the electoral system. So far the election is progressing well despite a few incidents reported in some parts of the country. I am confident to deliver this election successfully. The counting is expected to be finalized on July 23 or 24. Namorong's next court hearing is scheduled on July 25. It’s not clear why Gamato chose to single out Namorong in filing the defamation case. Whatever his intentions, the case put a greater spotlight on the numerous weaknesses of the general elections system. Namorong has vowed to continue posting a gagged image of himself on social media while the gag order remains in effect.